Antwerp sits astride the Scheldt river in the far north of Belgium – reaching for stratospheric heights of culture and imagination (as home-town both to romantic 17th-century painter Rubens and cutting-edge new millennium fashion houses), all the while being firmly grounded in the down-to-earth business of turning a coin. In fact, Antwerp was once considered the very centre of world commerce, albeit some centuries back. And it remains a trading centre of repute today, home to the second largest port in Europe. But despite the long sweep of its history, the vast expanse of its docklands, and the high reach of its cultural achievements, it's the little things that can make Antwerp such an attractive experience for visitors. Narrow lanes crowded with boutiques, tiny eateries boasting menus to shame larger restaurants, and of course plenty of bijou bars, fit-to-bursting with the considerabl beer heritage of this small nation. More on that later, but lets start with the big things that make Antwerp a city of repute – not just in Belgium and Europe, but in the wider world too. Antwerp is the capital of Flanders, the Dutch-speaking northern half of the country, and is home to around 500,000 people. The River Scheldt – and the access it provides to the world's oceans through the Scheldt estuary – has shaped Antwerp's geography, as well as its history. The Old Town is clustered protectively around a broad sweep of the Scheldt's right bank. Some parts of town were wrecked in the World Wars of the last century. 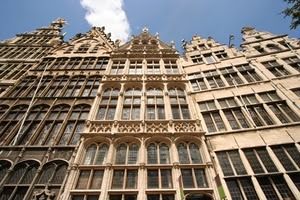 But as an ancient city Antwerp boasts many surviving architectural gems, in its churches, castle and civic buildings. It also boasts the real thing by the safe-load, with the city being the world's pre-eminent diamond-trading hub. Nearly half of the world's polished diamonds, and over 80% of its rough diamonds, pass through the hands Antwerp's diamond merchants. 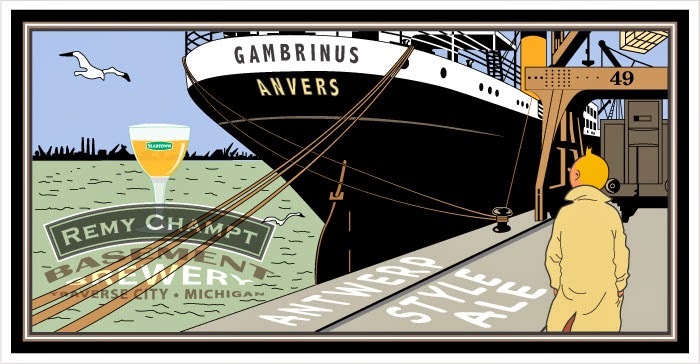 Of course that other national treasure, beer, has its place in the Antwerp story too. But it all started with a hand – a giant severed hand, to be specific. The best cities in the world are founded with a myth, and Antwerp is no exception. The legend has it that, to cross the river Scheldt, you first had to pay a toll to a fearsome giant Antigoon by name – or risk invoking his wrath and losing your hand. Of course a hero was needed, and he arrived in the form of a Roman soldier named Silvius Brabo. Brabo slayed the giant, cut off its hand, and tossed it into the River Scheldt. And given that the Dutch for 'hand thrown' is 'hand werpen', a city's name was born. 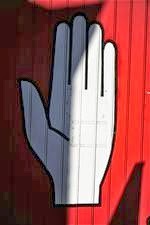 The story has led to white hand becoming a symbol to be found on many a crest in the city. Once we move from fables to facts, the history of the city can be seen to be no less dramatic. After being settled by the Franks, and developed as an outpost of the Holy Roman Empire, the city grew rich on the trade of its port, and the wealth of wool passing through it. The late Middle Ages saw the city boom, as the river at the Belgian rival port of Bruges silted up. But what really made – and later broke – Antwerp was the passing on of Flanders to the Spanish Hapsburg's. Spain was very much in the lead in the age of Exploration (and exploitation), and much of the riches from the New World (in terms of sugar, spices, gold and silver) passed through Antwerp's gilded warehouses. Some reckon that Antwerp was earning seven times more revenue for Spain than the Americas themselves were. The Spanish influence on this Dutch-speaking city has been long-lasting – full-blooded citizens of Antwerp still call themselves 'Sinjoren', a corruption of the Spanish señor. That strange mix of Spanish overlord-ship and Dutch commerce became a volatile one at the end of the 16th century. With the religious ferment of Reformation bubbling over, and influential Flemish locals converting to the new faith, a conflict between Catholic Spain and Dutch Protestants blew up – mainly in the face of Antwerp and its inhabitants. 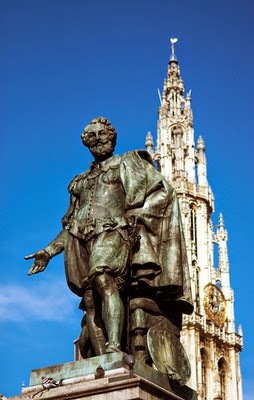 The city was ransacked in 1576 during the so-called 'Spanish Fury', when Spanish troops went looting, and slaughtered 9,000 of Antwerp's citizens. A siege in 1585 eventually led to the Spanish exiling the best part of the city's Protestant community. They went to the free Dutch provinces, taking much of their wealth and trade with them. Antwerp went downhill. The slide-down was prolonged because the wily new Dutch nation to the north forbade ships from plying the Scheldt's waters, in the subsequent peace treaty. They wanted to protect and promote their new port at Rotterdam. 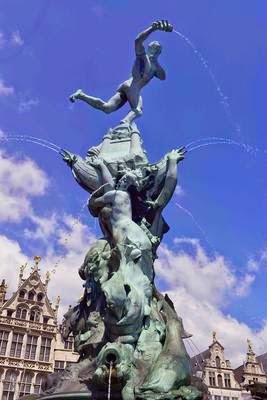 It wasn't until the time of Napoleon, who saw Antwerp as "a pistol pointed at the heart of England", that the port, and the city, began to regain some of its former glory. Since then, Antwerp has successfully shrugged off the ravages of two World Wars, and re-invented itself as a city of culture. But commerce remains the lifeblood of Antwerp. That and, of course, its many fine, outstanding examples of Belgian beer-craft. Antwerp may not be as laden with local micro-breweries and authentic Trappist tasting-rooms as some of the more provincial parts of Flanders (although Westmalle is in the province of Antwerp). But as the capital of the Flanders region, it serves as a showcase for all that's best – and most eclectic – from Belgium's wonderfully diverse beer universe. And the Sinjoren do love their beer. Maybe it's something to do with the region being such a melting pot of diverse beer-tastes, lying at the cross-roads of Holland, France, and Germany. Maybe it's something to do with this port city's hard-working dockers having such a need for thirst-quenching beverages. More likely it's because Antwerpers just know when they've hit onto a good thing. The iconic beer of Antwerp is of course De Koninck, or more particularly the bulbous bolleke glasses that it's served in. This light-red malty ale is pretty much the house beer of Antwerp, and the distinctive chalice-shaped glass is so ubiquitous that all self-respecting Sinjoren will be heard to 'holler for a bolleke', when its time for their round. 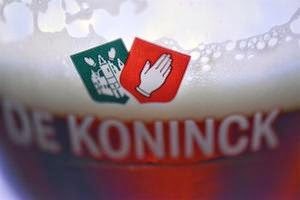 The De Koninck bolleke is not only the favourite around the town's beer-cafés – it's the mainstay of (nearly) the only brewery in town. The De Koninck brewery (since 2010 part of the Duvel-Moortgat Group), a modest building half-way along Mechelsesteenweg, in the centre of town, is conveniently open for tours too. There you'll see how the flagship De Koninck (5.2% ABV) is crafted, together with its stable-mates, the seasonally malted De Koninck Winter (6.5% ABV) and the wicked full-bodied Triple d'Anvers (weighing in at 8% ABV). But Brouwerij De Koninck isn't quite the only game in town – Antwerp has a few other brewery aces up its sleeve, so to speak. One discovery in the best tradition of micro-breweries is 't Waagstuk, a pub tucked into the leafy square of the Stadswaag. A recent mark-up for Antwerp's flourishing beer culture is the resurrection of the Seefbier, an old dockland favourite that disappeared in the 1930's. It has been bought back from the dead by Antwerpse Brouw Compagnie, a company set up by ex-Duvel/Moortgat man Johan Van Dyck. It was popular in the Seefhoek part of town (which apparently is named after the beer, not the other way around!) and was known as a working-man's beer. Its yeasty cloudy-yet-frothy appearance led to a commenter, in 1863, to call it the 'poor-man's champagne' because it “foamed like champagne, and went to the head like port." For the moment Seefbier is being brewed in Oudenaarde, by the Roman Brewery. But it is planned that an Antwerp-based brewery will be producing it soon. But while Antwerp-brewed marques are thin on the ground, the city's beer-cafés and pubs most certainly aren't. They are strung out along every straat, peppering every street corner and square with their open invitation to mark respect for Belgium's commitment to the art of beer. There are, of course, plenty of top-name pubs clustered around the tourist traps. These have up to a dozen beers on tap, and many hundreds of bottled beers to hand, but they can be expensive, and are certainly crowded to the point where seating is an after-thought. Quieter, less showy alternatives aren't hard to find, however. And while some may lack the vast (and sometimes bewildering) ranges on offer at the more select beer-cafés, they make up for it in honest Antwerp charm. 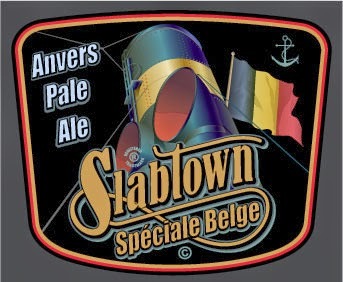 Of course you need to try our version of the Antwerp Ale : Slabtown Speciale Belge.